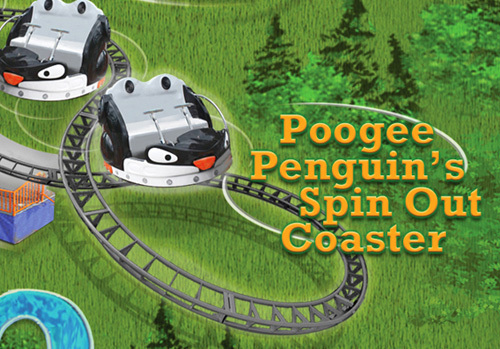 These penguins randomly spin as they coast around a figure-eight-and-a-half track. Guests must be able to sit upright, hold on, and hold themselves in place while the ride is in motion. Children must be at least 36″ tall and 4 years old to ride with a responsible companion of at least age 16. MINIMUM HEIGHT 48″ AND MINIMUM AGE 4 YEARS OLD TO RIDE ALONE.